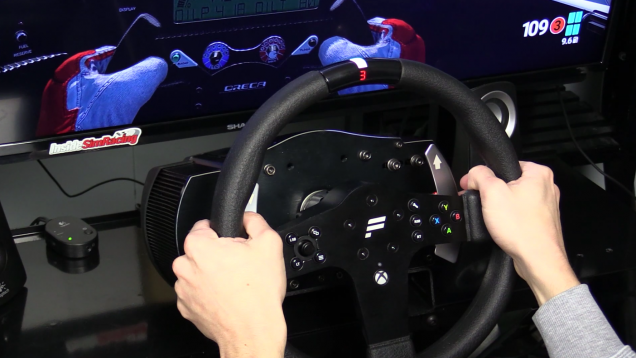 Presenting our review of the Fanatec CSL Steering Wheel P1 for the Xbox One. The CSL wheel marks the first product of a new entry-level line from Fanatec. It retails for $139.95 (149.95€) and is compatible with the Fanatec ClubSport Wheel (CSW) V1, V2, and eventually, the CSL base when it’s released. The CSL can be used on the PC, Xbox One, PS3 and PS4, but requires firmware update 139 or higher to do so – or to work period – so make sure you have a PC handy. The wheel is 30 cm (11.8 in) in diameter, weighs 1170 g – about half the weight of the Universal Hub for the Xbox One – thanks to its plastic casing with brushed aluminum faceplate, rubber wrapped rim, simplified quick release system, metal paddle shifters, 12 action buttons plus a D-pad, and Fanatec’s new illuminated RevStripe with integrated LED display for telemetry and tuning options. This review is broken up into two parts, initial in-your-hands impression and how it performs in use. We did this because it’s a tale of two products. The first thing you realize when you pick up the CSL wheel is that it’s definitely an entry level wheel compared to Fanatec’s CSW line of products. It feels much more toy-like. The brushed aluminum face is nice but the rest feels much more plasticky, cause it is. The plastic, rubber coated, rim is just okay. 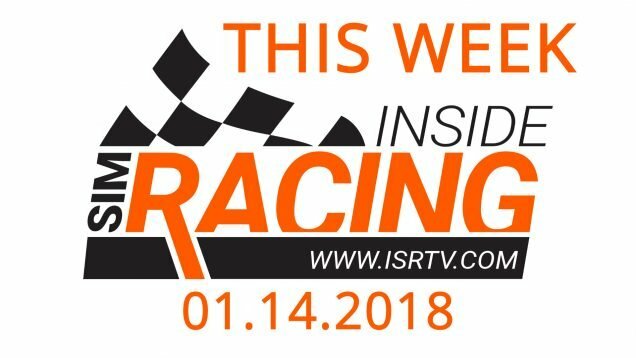 It’s not nearly as soft as the rubber rim of the Thrustmaster T300 and if cold – like during the This Week Inside Sim Racing live unboxing – feels plastic-like. Thankfully, you’re probably aren’t racing in an icebox, but it could be better. The metal paddles also leave a bit to be desired at first pull. They look and feel nice but the shifting mechanism is a bit deadened, not giving you a satisfying click. The buttons are good enough. They have a shiny finish and the clicks are positive enough. They aren’t as nice as the Universal Hub’s buttons, but that’s to be expected for the price. The D-pad “stick” does feel a bit flimsy though. Lastly want to touch on the quick release. It features a thin aluminum band with a plastic clip that tightens upon turning of the bolt. Initial impression? “Is this thing going to break the first time I use it?” Thankfully, that wasn’t the case. Now let’s transfer to how it performed in use, were we’re happy to report that most of the niggles we had in our initial impression disappeared. The quick release? Worked like a charm and doesn’t give any impressions of failing, even with the plastic clip. In our opinion, this is all you need from a “semi-quick release” system. Sure, a true quick release is nice, but it adds so much cost, and in the case of the Universal Hub, isn’t that quick if you have to swap rims. Driving? Once we had the firmware installed we were off and running. 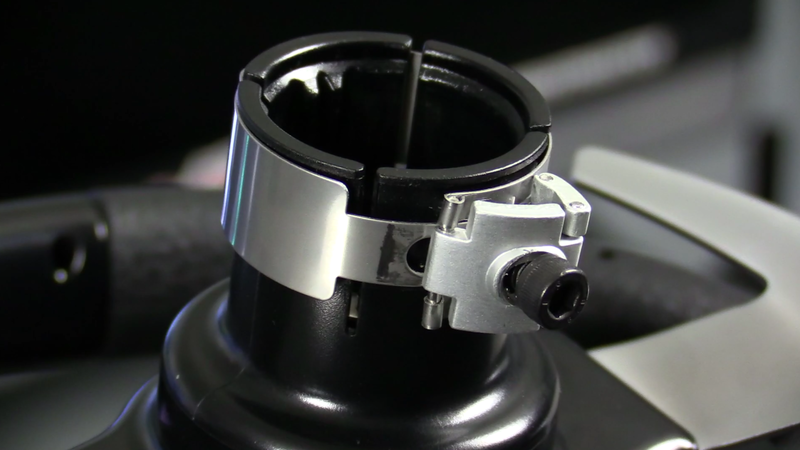 We tested the rim both on the PC and Xbox One, and on both it exhibited slightly heavier force feedback than the Universal Hub + rim pairings thanks to the low weight. Was it a dramatic difference? No, but it is nice to get a little more resistance, especially in titles like F1 2015 and Forza Motorsport 6. The hard rubber grip is still hard. Wearing gloves helps, but still, hard. The 30 cm diameter still feels great though. The paddle shifters also feel good in use, even with the deadened feel. A more positive click still would have been nice, but they get the job done and we had no issues missing shifts. The exact same thing can be said for the buttons. In use they get the job done, even the D-pad, which feels really positive in use, even easier than the Universal Hubs D-pad thanks to exaggerated throws. Let’s now get to Fanatec’s new RevStripe. The word we used to describe it is, “cute”. It’s a cute idea – that we like a lot in concept – but it doesn’t perform great in use. We did like the tuning/telemetry info being in the rim. Our grip is with the shift lights. The lights just aren’t bright enough to be spot out of your peripheral vision while driving. The only colors that came close to bright enough was green and red, and still, it took an effort to pay attention to them. With this said, shift lights on the wheel have always been more of a cute feature than a useful one. Very few people have their rigs set-up to have the rim right in front of them in their line of vision. But still, if you’re going to create rev lights, they need to be bright. Besides brightening up the lights, moving the light band down on the front of the rim would also be helpful. If these two changes are made, then the RevStripe could be a cool feature for future Fanatec wheels. 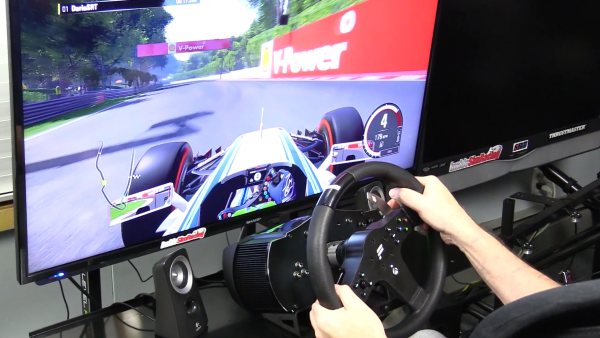 Overall, the Fanatec CSL Steering Wheel P1 for Xbox One is a solid entry wheel. While it does save you $260 over the Universal Hub + rim pairing, and gives you a little bit more force feedback thanks to the lower weight, the entry level quality makes it a tough sell. If you already spent $600 on a CSW V2 base, then what’s another $260? The case for the CSL to be paired up with the CSW base really heats up though if you own a non-Xbox compatible wheel or hub and want to drive on the Xbox One. Now you have a much cheaper option to get on the Xbox One and use your higher end wheels on the PC. Most of all, the CSL steering wheel indicates what’s to come in the new CSL line from Fanatec. 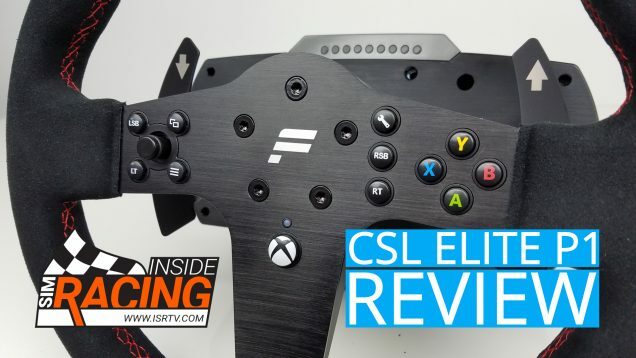 Based off of how the wheel performed, we expect the rest of the line – base, pedals and more wheels – to be a solid contender to the likes of Thrustmaster and Logitech.